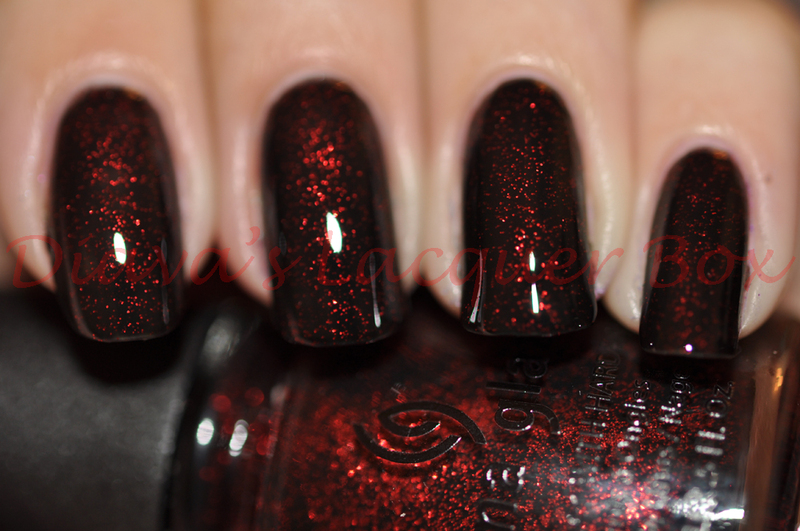 China Glaze Lubu Heels is the darker sister of China Glaze Ruby Pumps; one of the most popular polishes out there. 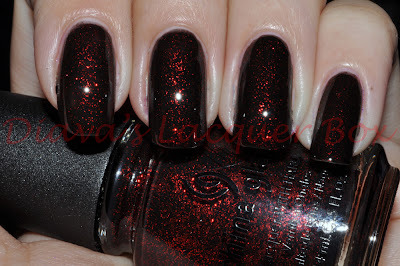 Lubu Heels is a jelly black polish backed with blood red micro glitter, and the effect of this polish is simply stunning, simply a must if your a fan of unusual glitter polishes. This is such a hot shade! I just wore this for the first time very recently and I couldnt believe the shine it had. I love it on your long nails! Absolutely gorgeous. 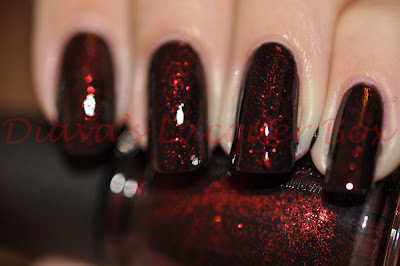 It looks wonderful on your lovely nails.